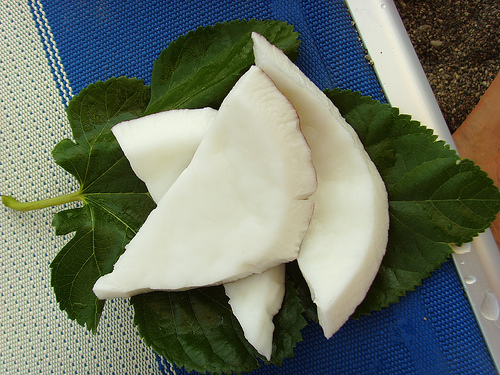 A sample of the summer flavors and specialties to enjoy on southern Italy’s Amalfi Coast. The famous Amalfi Coast in the region of Campania is a fabulous summer spot for a vacation or weekend getaway in Italy. Here are a few of the signature dishes and desserts to try during the summer on the Amalfi Coast. 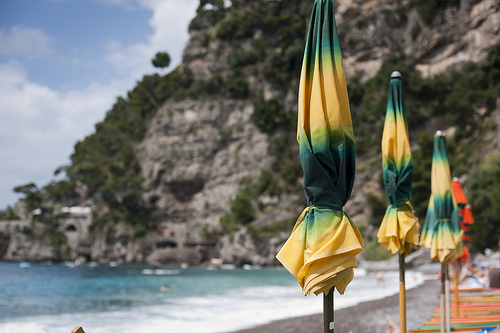 The sun is shining and the colorful umbrellas and sunbeds are already out lining the beautiful beaches of the Amalfi Coast. What are you waiting for? Now is the perfect time to visit the Amalfi Coast and enjoy the warm Mediterranean sun, the stunning blue sea along the coastline and the regional specialties that capture the fresh flavor and color of the summertime in Italy. Many of local foods of the Amalfi Coast are traditional dishes of Campania, but there is nothing quite like enjoying them during the summer while relaxing on the beach or savoring a beautiful view of the Amalfi Coast. 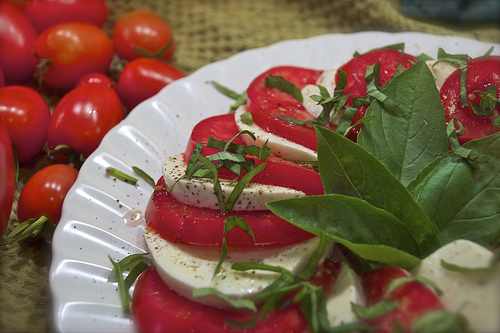 One of the most famous dishes from Campania, the Insalata Caprese takes its name from the island of Capri in the Bay of Naples, which is located just off the tip of the Amalfi Coast. This is a traditional way to start a meal as an antipasto, or appetizer, on the Amalfi Coast. It is truly best during the summertime when the basil is picked fresh from the garden and the tomatoes still hold the warmth of the sun. It’s also perfect as a refreshing meal in itself for a light summer lunch. Pizza on the Amalfi Coast is made following the Neapolitan tradition of nearby Naples, and it is a wonderful summer meal. Try a pizza topped with fresh cherry tomatoes and basil. 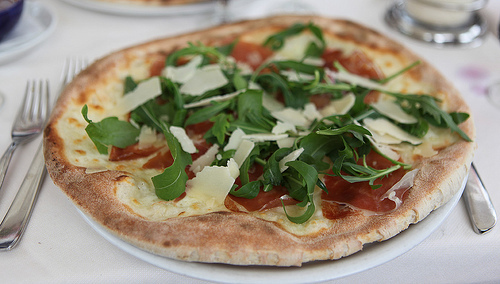 Another summer favorite on the Amalfi Coast is pizza topped with fresh rucola, thick shavings of Parmigiano or Grana cheese and prosciutto, which are placed on the pizza immediately after it comes out of the oven. The region of Campania produces many fine white wines that have a sweetness and a crisp flavor that is wonderfully refreshing on a warm summer day. 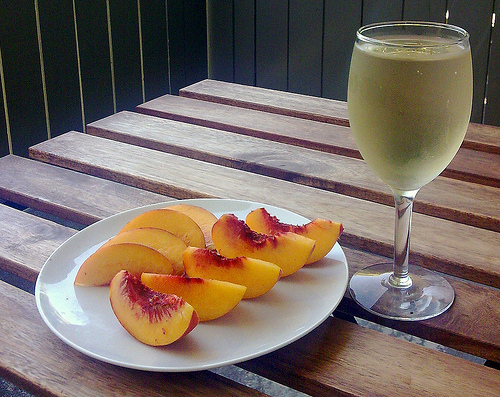 Try a Campania Falanghina or Greco di Tufo wine with locally grown peaches for a sweet treat during the summer. At many beaches you’ll find pitchers of white wine filled with sliced peaches, which is a delightful accompaniment while enjoying the sun and sea. While enjoying the sun on the beach on Amalfi or Positano, you might hear a singsong call from the sellers walking along the beach saying, “Cocco bello, cocco fresco!” (“Beautiful coconut, fresh coconut!”) The bright sun, fresh coconut and the sea a few feet away – now that’s the way to enjoy summer on the Amalfi Coast! 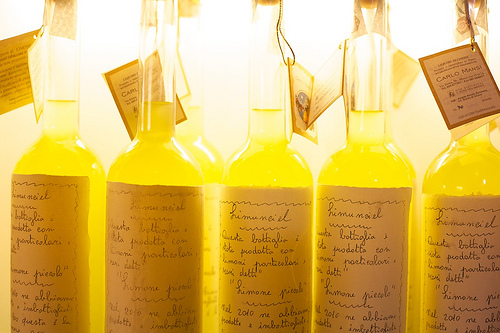 The bright burst of yellow of the traditional lemon liqueur of the Sorrento Peninsula, called limoncello, perfectly captures the warmth of the Mediterranean summer sun. This strong lemon drink is made in Sorrento and all along the Amalfi Coast with the unique varieties of lemons grown on the Sorrento Peninsula. Traditionally served straight from the freezer in chilled glasses, limoncello is a wonderfully refreshing way to finish a summertime meal. Of course, you can’t skip dessert! 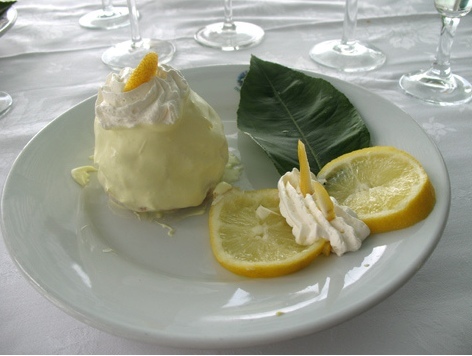 The lemons of the Amalfi Coast are featured prominently in local desserts, including homemade gelato and the famous Delizia al Limone dessert. This is a little cake filled and covered with a lemon flavored cream that you’ll find in many pastry shops and restaurants along the Amalfi Coast. These are just a few of the traditional flavors that define summer on the Amalfi Coast, but there are so many more to discover and savor yourself! 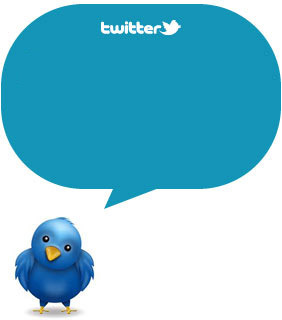 Subscribe to our RSS, follow us on Twitter and Facebook for more info about summer in Campania and Italy!